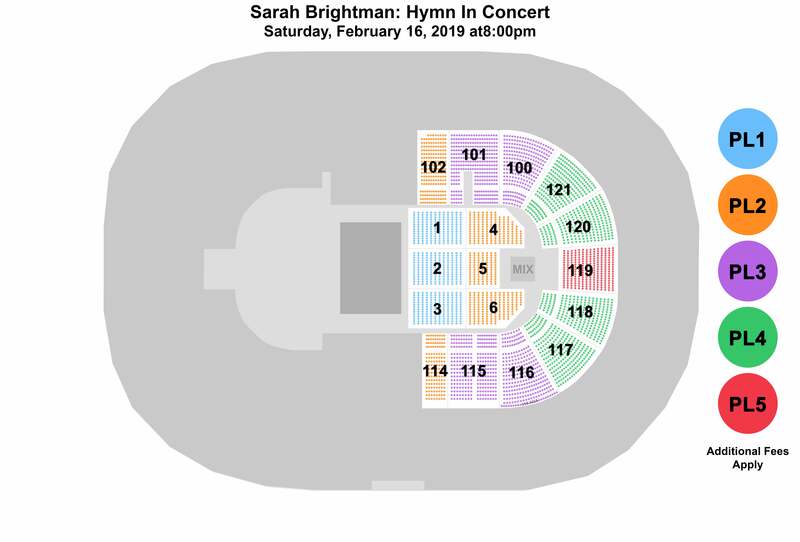 In addition to her tour, Sarah Brightmanwill unveil her much anticipated fifteenth full-length album, HYMN, on November 9, 2018. This marks the multi-platinum, GRAMMY® award-nominated, classical crossover pioneer’s first new studio recording since she released the international chart-topper Dreamchaser in 2013. Sarah Brightman has a strict no camera or recording policy. Please refrain from bringing cameras or recording devices of any kind to the Bon Secours Wellness Arena. For more information on prohibited items, click here. Martinis in the Stella Lounge! Enjoy specialty cocktails before Sarah Brightman hits the stage, including Appletini, Baileys Chocolatini, and a Dirty Martini in the Stella Lounge located near section 109! *Mixed drinks must be purchased and consumed in the Stella Lounge.